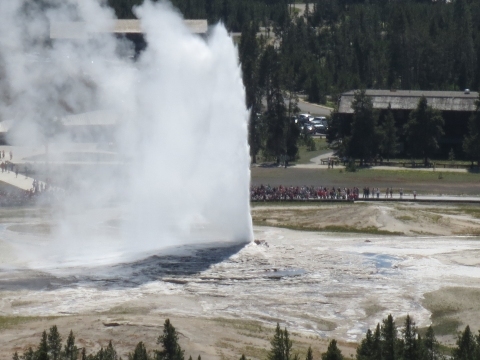 After the proposal to raise the admission cost for Yellowstone and other US national parks (see the blog post on “Proposed fee changes for national parks”) was met with outrage, the raise was made somewhat more reasonable, but with one big change. 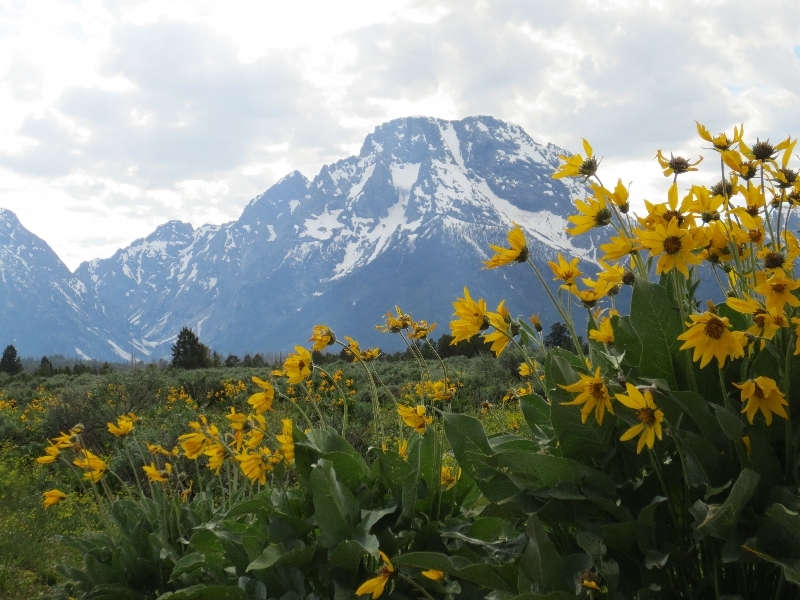 You used to be able to get into both Yellowstone and Grand Teton National Parks with one fee for a week, but the combined seven-day entrance pass to the two neighboring national parks ended on May 31. As of June 1, here are the costs for a seven-day entrance pass for each park. Depending on your plans, it may make sense for you to buy the annual pass for Yellowstone at $70 or the annual pass for all federal lands for $80. And if you have a fourth grader in your family or you are a US citizen or permanent resident over the age of 62 you have even better passes available to you. For more information, visit the Fees & Passes page on the NPS website. Credit: Photo by Beth Chapple, June 20, 2017. The National Park Service is announcing that the deadline to apply for one of the two month-long sessions at Yellowstone this summer is rapidly approaching: March 1, 2018. 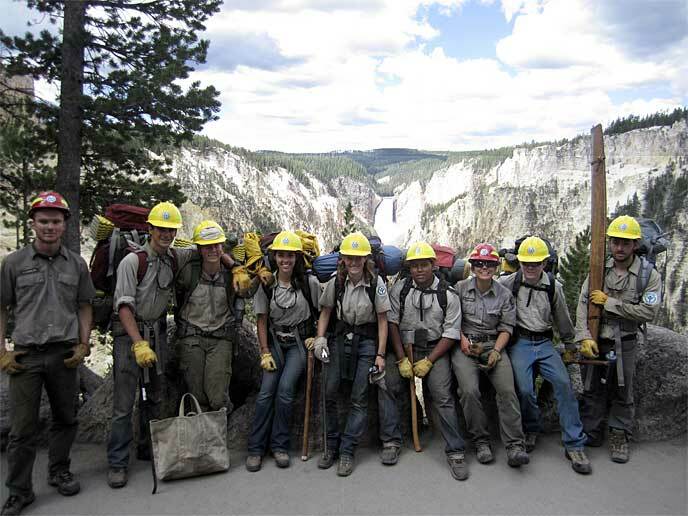 This will be the 29th straight year that the Youth Conservation Corps is offered in Yellowstone National Park. Sixty young people between the ages of 15 and 18 can participate in this program, which has educational, recreational, and work aspects. Teens help NPS staff with trail and campground restoration, resource management, visitor support, maintenance, and more. “Applicants should possess a positive attitude, a willingness and ability to work in a physically active outdoor program, and get along well with others,” according to the press release. What a great opportunity! For more information and to obtain the application, see the YCC page on the official Yellowstone National Park website. Would you like to work and play in Yellowstone this summer? Comments Off on Would you like to work and play in Yellowstone this summer? If you are 15 to 18 years old, here is a great opportunity to make about two hundred dollars a week for a month or two and gain valuable skills and work experience in the world’s first national park, Yellowstone! Consider joining the Youth Conservation Corps, meeting like-minded young people, and contributing to essential maintenance in this remarkable place. Here is all you need to know about the program. This is a great time of year to go hiking. Some delightful short hikes can be taken by going partway on a long backcountry trail. For example, start the Seven-Mile Hole Trail along Yellowstone Canyon’s north rim or head toward Point Sublime on the south rim. 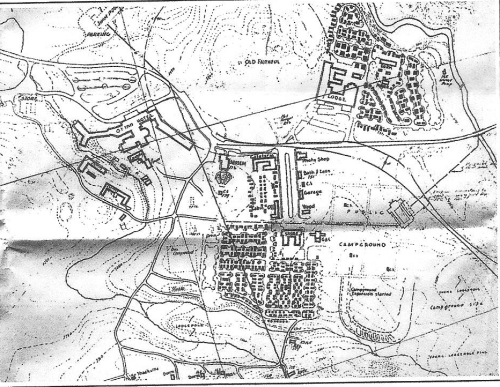 If you are interested in this one, take a look at the Canyon Area map. Another idea is to start the Pebble Creek Trail. Park at the upstream end of Pebble Creek Campground (9.7 miles after the Northeast Entrance). Layers and layers of limestone about 350 million years old are exposed in cliffs in a lovely canyon. Look closely at the rock to see bits of tiny marine organisms. 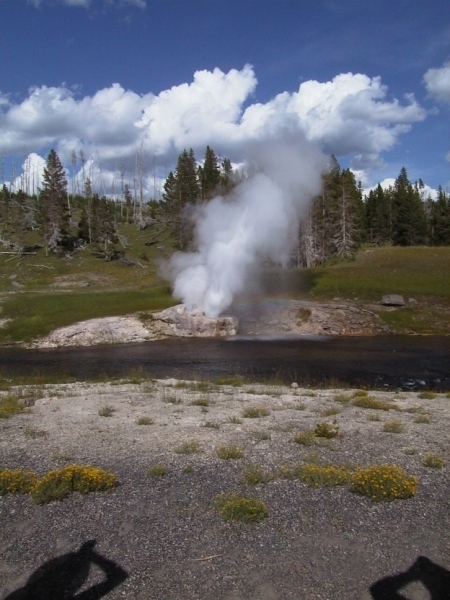 For a fantastic view of Yellowstone Lake and a trail with some interesting small hydrothermal features and great wildflowers, take the Yellowstone Lake Overlook Trail south from West Thumb Geyser Basin. 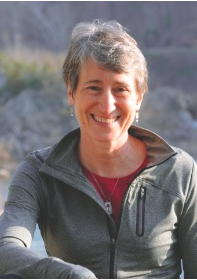 You can certainly find good sources for longer hikes, but author Janet Chapple believes there are lots of older people and also young families who want to do less ambitious walking and would like to know where the best hikes for them are. 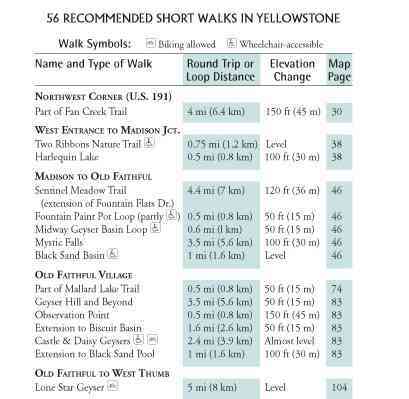 So she has put together a chart of “56 Recommended Short Walks in Yellowstone” starting on page 366. See the “How to Find Great Hikes in Yellowstone” nugget for more about that list and other possible hikes to choose among. In my last post I left out the fact that this week is National Park Week. It runs from April 19th through the 27th. This year’s theme, National Park Week: Go Wild! 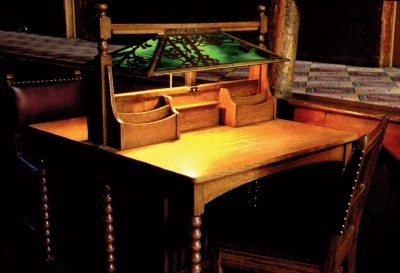 gives parks an opportunity to showcase what makes them significant, special, or unique. In addition, many of the parks are designating one day this week to the Junior Ranger Program, which encourages America’s youth to explore, protect, and learn about our National Parks. As far as I can ascertain, Yellowstone has not planned a Junior Ranger Day this year, probably because the park has just opened after the spring break of about six weeks and because schools in the area are in session. However, you can learn how to take part in the Junior Ranger Program in Yellowstone when everything will be open later this spring—see my February 28th post for details about road closures and openings.